At The Reader Organisation, we’re lucky to work with a growing band of hardworking and dedicated volunteers who are helping us to spread the benefits of shared reading even further across communities. With ongoing support, our volunteers are sharing reading experiences and growing in confidence, as well as doing vital work to develop the Reading Revolution. 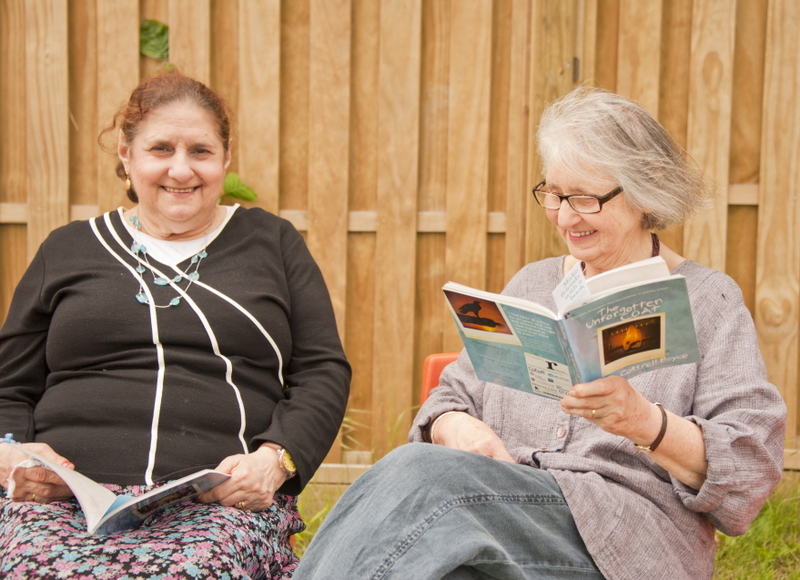 We’re currently looking to expand the number of volunteers in our Barnet Volunteering Project in London, where volunteers can read for a minimum of half a day a week in older people’s care and local community settings around the area. More details about the project can be found on our website and here on The Reader Online. “I began working with this group in March 2013 and have been amazed at the response we get from the regular attendees, two women and two men. They concentrate on the poetry we give them and as the facilitator reads they follow the poem, sometimes reading along with us quietly. They genuinely seem to enjoy our sessions and usually thank us at the end and say that they enjoyed it. A care worker told us that one of the ladies has become much more friendly towards other people in the home since she has been coming to the group. We are tremendously fortunate to have a most sympathetic and able member of staff at our sessions. She helps enormously with her presence and her anticipation of problems that may be arising. On occasions a member of the group just will not feel like participating and will doze off quietly. At other times they can be very talkative and will participate with enthusiasm. Usually there is a theme to the session and we read two or three poems each time. The group responds well to poems about friendship, love and even the Second World War which brought up memories of having been evacuated and what life was like then. Once when reading poems on travel, one lady volunteered the information that she had travelled to Cambridge when she was young. When asked why she had gone there, she told us that she had been at Girton College studying mathematics. She must have been one of the first women in the country to study maths and she was very happy to discuss it with the group. It is interesting to discover that sometimes the group do not respond much to some poems while others will provoke lots of conversation and comments. It has been a very enjoyable experience for me as well. It is good to know that you can still be useful in your seventies and contribute to the welfare of others. The Reader Organisation is currently seeking volunteers of all abilities with excellent communication skills to volunteer in Barnet. Do you believe in the value of reading? Can you be flexible, open to new ways of thinking and approaching literature and show care for others? You can find out more about this opportunity, training starting this October, by downloading this flier, seeing our website, or for further information, contact Paul Higgins on paulhiggins@thereader.org.uk or 07985 718744.